Here’s an irony – an introverted homebody writing a blog post about how to throw the perfect party. Full disclosure: I have an aversion to party supply stores, crowds, small talk and anything resembling a game. I’m bad at organization. I don’t decorate, and I’d much rather put on PJs and cuddle up with Dickens than don a little black dress and heels or mingle with VIPs. Still, my fellow MarCom board members were adamant (tyrants! ): the Events Chair must write the Events blog. Fortunately (for all of us), I have a connection. 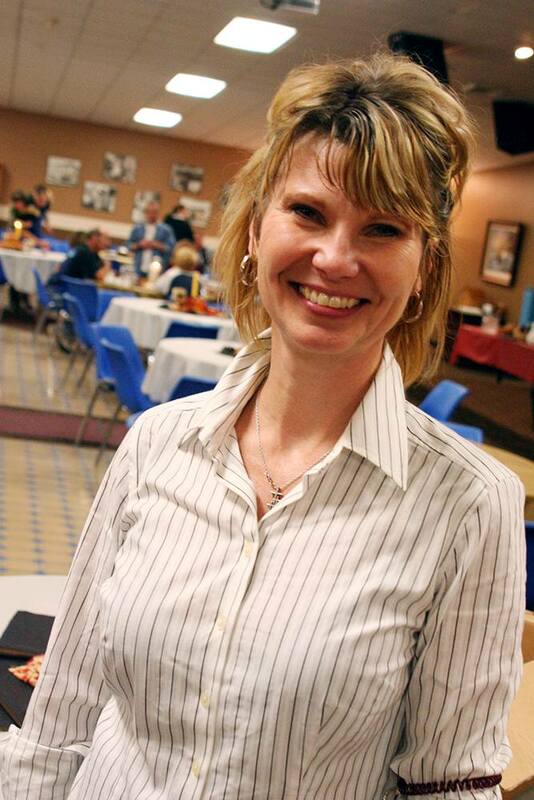 On November 26, Laurie will be welcoming over a thousand guests to UGM’s 5th Annual City-Wide Thanksgiving Dinner at the Spokane Convention Center. Our homeless guests will sit down to linen-covered tables with placemats handmade by school children and enjoy the traditional turkey feast served by government officials and other community leaders. Keep it simple. No matter how hard you try, the simplest plans grow in complexity, so start off as basic as possible. Contact your facility 6 -12 months out. Get to know your contact well. Become friends. You want this person to be as invested in the success of your event as you are. Create a contact sheet for all key people – phones, emails, favorite mode of communication. Think through this list carefully – speakers, security, volunteers, caterer, audio-visual…If the person has the power to impact your event, you want their name and cell phone number on speed dial. Start contacting these people early. If possible, bring them together in one room to make sure everyone’s on the same page. Establish clear beginning dates and deadlines for all components: mailings, volunteer sign-ups, print pieces, video segments, acknowledgements, etc. Communicate clearly and often. Assume nothing. If it’s part of the plan, communicate it. When possible, create a scaled schematic of the event space with all your stations and needs posted: table needs and arrangements, volunteer positions, display locations, work stations, etc. Anticipate problems: Create plans B, C & D and educate volunteers as to each plan change. Create multiple teams: Set up, servers, clean-up, etc. Have captains for each team whom you can trust to handle the small problems and connect with you on the big ones. Say thank you over and over – first in person and then in a follow-up note or email. Take good notes from the post-event recap meeting. Turn around and start planning the next event while the notes are still fresh, and whatever else you do, don’t forget to keep it simple!